A seasoned insurance defense litigator, Dan Bartoldus supplements the firm’s health care, environmental, insurance coverage and commercial services. He brings more than 30 years of experience in litigation and transactional practice to the firm. Dan successfully represented a municipal client in an beach/erosion environmental matter and co-wrote and successfully argued its appeal. Prior to joining Lewis Johs, Dan spent 18 years at a large Long Island law firm specializing in insurance coverage, product liability and environmental matters, rising to the position of general partner. He then spent a number of years as Vice President/General Counsel for Wartburg Lutheran Services, a not-for-profit corporation that operates nursing homes, senior housing projects and other programs for seniors. As General Counsel, he dealt with the myriad of transactional, litigation and regulatory matters affecting health care providers. He was also previously in solo practice where he continued to provide general counsel to nursing homes and other health care facilities. Dan also served as an Assistant District Attorney for New York County. 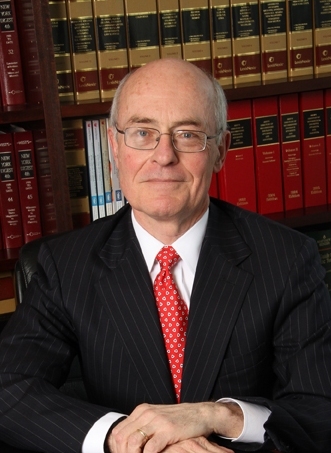 Dan was admitted to practice in New York in 1976 and is a member of the New York State Bar Association. Dan Bartoldus received his Juris Doctor degree from Fordham University School of Law in 1975. In 1969, he earned a Bachelor of Arts degree from Hofstra University. Dan Bartoldus has been named to Super Lawyers for 2013 and 2014.